Is it a gift or a double edge sword to have famous parents? Exactly … Well I feel that everything is a reflection of my parents in a way because they’re both such awesome jazz musicians. People will talk to me and they say “Oh my gosh, your parents are awesome… and you know I used to listen and study John Coltrane in college and all your dad’s compositions are really wonderful” and I don’t mind that, I feel honored by that, they’re my parents and they’re only giving their thanks to them and showing their love for them and what they’ve done. So that doesn’t bother me at all… I think it’s wonderful. How was your childhood? Childhood was cool. We grew up in Huntington, New York, lots of snow and it was cold. I don’t have too many childhood memories. I have two older siblings John and Ravi and we used to play in the snow and ride our bikes and stuff like that and tear up the house …you know, things that boys do! Did the three of you get together to play? Yes, at one time, we had a quartet myself, my brother Ravi and my brother John. Ravi was playing tenor saxophone and soprano and my older brother John was on bass. Did you feel any pressure growing up with music in your blood? No, I’ve always felt blessed and enlightened by it because my parents were my examples and I knew that I had to do great things in music. I knew that … I had to… that music was my calling. Of course I knew this is where I would be going, that my career would be in music, but I never felt pressured in music. I think there was more pressure for my siblings. My brother who is a jazz musician and he is very good at it ..and I kinda felt that he would have liked me to follow in that way also .. he would have liked me to stay playing jazz and that kind a thing, but I had another idea in music. I wanted to follow my own path, different styles of music. I was playing rock for a while. What does music mean to you? Music is a way for me to open up & express how I feel, express my life … any kind of music. Music to express life and it does not matter which style it is. So you first started playing jazz …and then rock? I enjoyed jazz, I got to travel all over the world and concertize in many different places. That’s really like my first and most powerful experiences in professional music. Playing jazz and traveling the world with my family. Why did you stop playing jazz? Well, it wasn’t about stopping… it was about keeping moving and playing the music I wanted to play. Back in that day, you felt you could do everything and there were no limits. I wanted to start a band. I started a rock band in 2001. I picked up a guitar, played drums and sang and we played overseas in the Philippines. So, that was pretty cool . 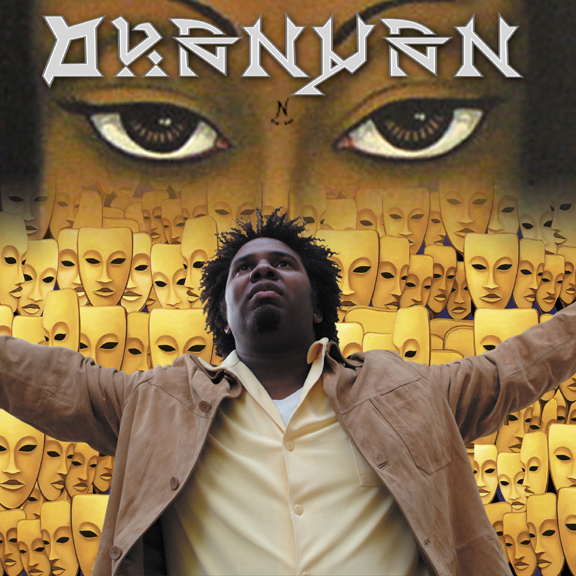 Then I wrote an album self entitled “Oranyan” released in 2004. It was actually recorded and produced right here in my home studio and then from there I went to electronic music. What made you switch, do you recall…? That’s a great thing. I always had a drum machine and stuff like that at my home and liked playing with synthesizers, different sounds and tweaking so I always had electronics in the back of mind. You remind me of a kid in a candy store…what candy or what instrument are you going to try next? Music is so fathomless and we shouldn’t put limitations on ourselves and it’s so forgiving too. Music is very forgiving, if you do something that isn’t that great, you can always go back and make it better. So, yeah… it’s always been in the back of my mind with electronic music and I finally just went out and bought some software and started composing songs on my laptop. Which is really rewarding, I mean I feel so happy when I create new music. What are you working on now? Electronic music with some trance and dance music overtones. I am working on a trance house music album right now. I am doing the recording now A 13-15 track album. Why trance music? Because trance has this kind of hypnotic and inviting feel to it.. It just allows you to .. it moves you.. it moves your spirit into one pointedness which is spirit… it’s like a mantra… It has that meditative quality and meaning to it. I believe what I am trying to do is express myself through my music. I think music can transform the world, it can move mountains, it’s a very powerful force and I think it can. On a spiritual level when you offer that music to a higher power others can benefit from your work and from what you are doing. I also believe that if something is created in a very .. I don’t really know how to word it.. but whatever your intentions are…in your music then people will see that. If you’re just going to be angry about something then that would be a terrible thing to do to the world because that’s what you’re offering humanity. I just try to fill it up with everything that I am at the moment and all the good things that make me happy. The loss of your mother, not too long ago, what this part of that experimentation and was it a grieving catalyst? Yeah. Music is that way, you’re able to express a lot of things through the music and you know, pain , joy, all the works.. About my mom’s passing, did it affect me and my music.. as far as musically? As far as me as a person, I took like it any other child would who had lost their father and their mother. I took a moment just to grieve and to appreciate, remember who she is and everything that she meant to me. So yeah, I just needed to just step aside reflect who she is, step aside from everything and deal with my mom’s passing which I was fortunate to have done and that helped me grow and like I said it helped me to remember and to appreciate everything that she and my dad had done for me and my family so it was really a growing process. When you work out of the pain you’re able to grow and you can feel at peace with yourself again. So those things come out in the music also…If you’re an artist those things, those emotions and feelings are there, I mean how could they not…so I don’t know if music works that way, if it’s that extreme.. for me I changed my style because I am searching for who I am .. that’s what I felt and I feel really content in music right now, I like what I am doing now ..
How do you go about recording your music? I try to have as much fun as possible when I am. From there just start building the machine, start building the vehicle, the music. I go from drums to base and then to chord an then I’ll start charting down some ideas…the music really dictates what its going to be. I am a reverse writer like most people will write the lyrics to a song and then they’ll start fooling around on the keyboard and get an idea based on what the words and the meaning is, whereas I create the music first and after I do that I am able to write some things down, jot some things on paper as to how the music is making me feel, what does it mean to me and that kind of thing . And that’s the fun part for me because sometimes I’ll just improvise. I don’t necessarily need to go to the pen and paper. I’ll just improvise and listen back to it and say “Wow! I like that, that was good! That’s definitively the hook!” I build off that. When do you know when you’re done? Well, that’s a good question. Some songs are immediate, some songs write themselves. You know musicians are just really incredible people… they’re just incredible.. you’re a musician, aren’t you? Yeah, absolutely, and playing and being able to share my work , my art throughout the world that’s what I’d like. I’d love to be on tour or oversees, in France, in Germany, in Japan doing what I love and hoping that the people like it …that it’s well received and that the people understand. Do you foresee other musical changes? This may sound crazy but within dance music, I feel you can incorporate so many things and people accept it. I love working with musicians, you can have people, various artists you can get to sing on your songs or play guitar or saxophone so to me dance music is limitless. And as far as improvisational it could be the closest thing to jazz music, cause you’re able to expand and bring performers and musicians with you so that’s I feel like about it. And I do have really cool ideas about incorporating more instrumentation. I do play guitar and piano and I also sing and that’s what you’re going to hear on my albums that are released. I’d also like to work with other musicians and to record on my recordings in live situations. Thank you Oranyan Coltrane for this inspiring and candid conversation! I wish you the best with all your projects! This entry was posted in Interviews, Music Press and tagged Alice Coltrane, Electronic dance music, GSG Creative Enterprises, GSG Creative Interviews, John Coltrane, Oranyan Coltrane. Bookmark the permalink.